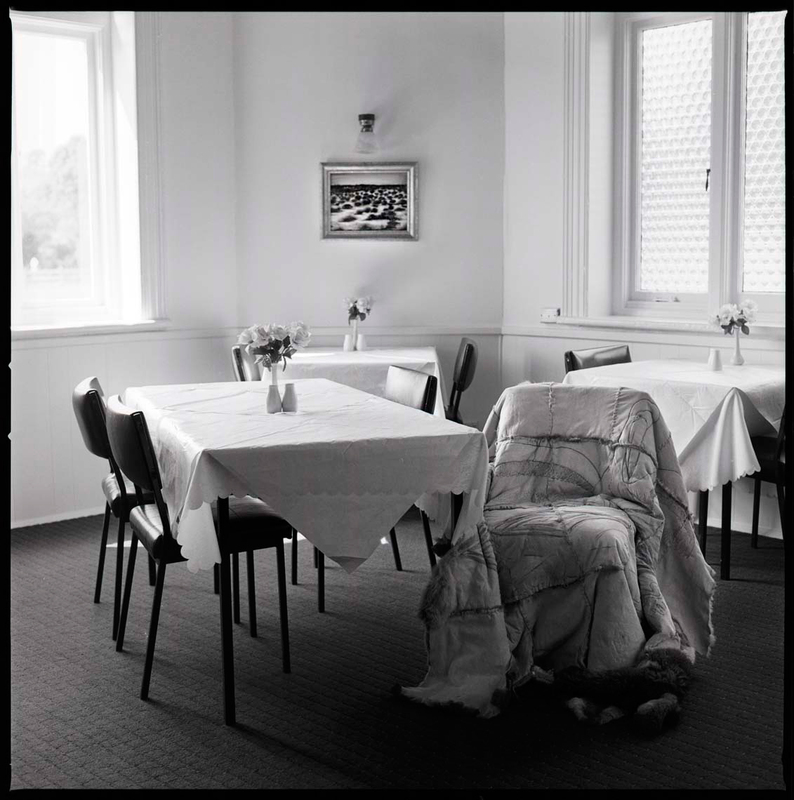 Home: Wergaia Elder Professor Eleanor Bourke, silver gelatin print, 60x60cm, Koorie Heritage Trust, 2011 Eleanor Bourke and her sister wanted to make the Wergaia cloak to wear to the opening ceremony of the 2006 Melbourne Commonwealth Games. The Wergaia community gave them their blessing but did not want to participate due to the politics around animal rights activism. Aunty Eleanor believed her language group had to be represented at the Games as they had been denied their existence for so long. She wore the cloak with pride at the Melbourne Cricket Ground â€“ a place once used for corroborees.